Sebastian and Charles both got good starts, with Vettel able to get alongside Hamilton’s Mercedes. Leclerc got past Verstappen in the Red Bull. But he put two wheels on the grass at the first corner. Then he had to give back the position to the Dutchman. In the early stages, Sebastian was able to keep a good pace. Meanwhile, Charles made a mistake on lap 8 and lost ground to Verstappen. On lap 14, Vettel pitted, switching from the Soft to the Medium tyres. 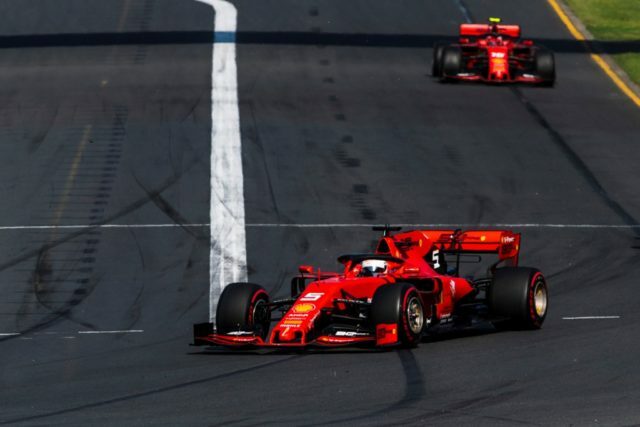 Leclerc stayed out until lap 28, when he fitted the Hard compound tyres. In the second stint, the car on Medium tyres didn’t perform as expected. So Sebastian had to manage the rubber for the rest of the race. Charles could run a good pace. In the final stages, he closed on Vettel. But the team decided the drivers should hold position, given that the cars ahead were too far away. An assault on the podium was unlikely.